Young at Heart is a nonprofit, 501(c)(3) organization dedicated to saving the lives of senior pets. Young at Heart rescues 100% of our senior pets from open-door shelters, reducing the euthanasia rate for adoptable senior pets at area shelters. Young at Heart also provides community outreach to help keep senior pets out of shelters in the first place, from providing pet food to low-income food pantries, to educating the public on senior pet care, to helping other organizations network their senior pets. Why is Young at Heart needed? It’s a sad truth that every day in our communities, beautiful loving pets are euthanized. Why? They’re older. And because they’re older, they’re not considered adoptable. Traditional shelters with an open-door policy, a policy that means they must accept every animal that walks through their door, run out of space. Too many pets, not enough homes. Those that are older are considered “unadoptable”. And because they are older, they are the first to be euthanized. Their fate is sealed simply because they were loved longer than the other homeless pets around them. We rescue senior dogs and cats from traditional shelters. As the only organization in our area that specializes in senior pets, we find homes for the adoptable ones, and offer a peaceful sanctuary life for those that are not. Often the senior pets we rescue from behind metal bars aren’t just “strays” – they are beloved pets who have lost a guardian usually through no fault of their own; death or incapacitation of a guardian, foreclosure, change in lifestyle, or the inability to care for a pet any longer. In a perfect world, every senior pet would spend the twilight of their lives surrounded by love and family. 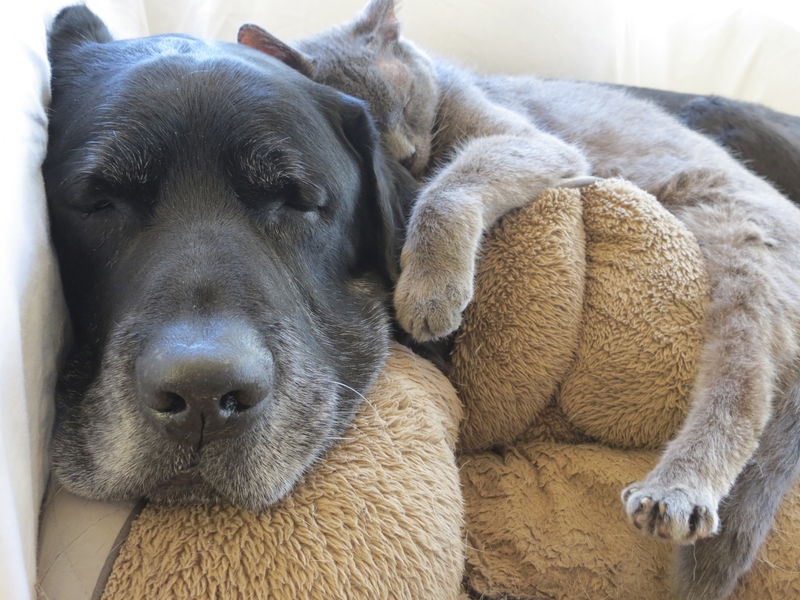 Love Has No Age Limit™ and senior pets know that more than any other pets! Adopting a senior pet changes not only their life for the better, but yours as well.